Guess what? You’re not in the business you think you’re in. I don’t mean this like one of those these-are-not-the-droids-you-are-looking-for Jedi mind-tricks but as a statement of fact. No matter what else you may do, if you rely on digital technology – and who doesn’t – then you are in the software business too. Doubt it? Consider how your company does what it does. At how many points do your business functions pass through digital channels? It doesn’t matter if it’s back office, customer-facing, supply chain management or whatever, the answer is either “a lot” or “entirely”, then your success is tied to software. This in fact is a major conceptual shift of how digital experiences are organized. Originally, websites were organized as information on linked pages. But the software model changes this information-first model of pages to one that puts a focus on customer enablement. In short, digital thinking has shifted from publishing to transactional thinking. And that’s what consumers expect, seamless exchanges that helps them to easily, enjoyably get things done. That’s dramatically different that simply publishing well organized information. Consider my recent order of shirts from the printer, CustomInk. In about 30 minutes I designed a shirt using their online tool, arranged for payment and shipping, talked to their staff by phone, was texted to go see my email when proof was ready and was billed. This fast, easy process didn’t just happen. It was a designed experience that allowed the business to get the inputs they needed from me, and it allowed me to see and contact them easily at ever step. So sure, their business is printing, but they’re also a service business – and a huge part of that is formalized and automated in software. Companies are catching on about this and isn’t just Netflix, Amazon, and iTunes. Far from Silicon Valley, hospitals, ski resorts and colleges have all created products which essentially put them in the software business. At Boston’s Beth Israel Deaconess the Open Notes program lets patients read and review what clinicians report about them. Giving patients easy access to this data has been found to significantly improve health care by increasing trust between patient and doctor, getting the patient more involved in the care and helping avoid problems with medications. Ski resorts around the country are combining RFID with smartphone apps to improve the customer experience while also cutting costs. The resorts use RFID chips in access passes to help customers avoid long lines for lifts and monitoring traffic at a resort. 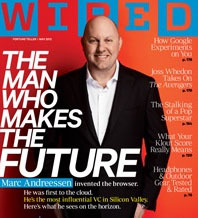 And imagine the analytics, of being able to connect what were previously numerous anonymous transactions to named customers. Finally, as a graduate professor who teaches about digital business, I have to point out the amazing shifts taking place in higher education. Many prestigious colleges are experimenting with Massive Open Online Courses (MOOCs). In a new research paper, Christian Terwiesch, a professor of operations at Wharton, and Karl Ulrich, their vice dean of innovation, examine the impact that MOOCs will have on business schools and MBA programs. In their study — titled, “Will Video Kill the Classroom Star? The Threat and Opportunity of MOOCs for Full-time MBA Programs” — they identify three possible scenarios that business schools face not just as a result of MOOCs, but also because of the technology embedded in them. These techniques include recording lectures, which my non-english speaking international students appreciate, to group work through Blackboard, and systems that auto check for for plagiarism. 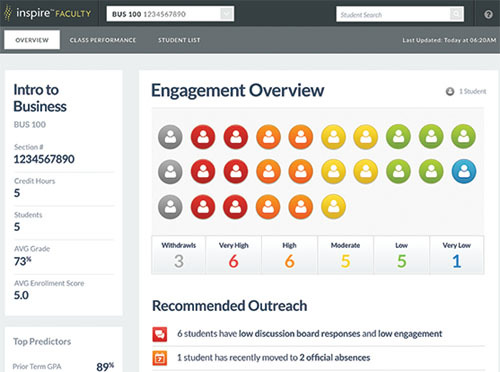 I’m especially keen on student management tools from companies such as Civitas Learning and CollegeSource, which help visualize and automate responses to keep students engaged and to ensure their progress. While any of these can be applied to online learning, all can be resources for classroom teaching as well. Firms that build, buy or lease their software systems all commitment parts of the business to software. The difference is how they get there, and how they are able to make changes. Not all firms need to compile their experiences from the code-up. It may be faster and more economical to apply already established patterns to disrupt larger players which are anchored to slowly depreciating legacy systems. And, he said, more software tools need to get into out of IT and into other departments to model processes and create the new, better tools to improve customer experience. Digital innovation needs to live in every department. Who is Driving Your Digital Evolution? Have you seen their map? This raises an interesting challenge, just who is charged with setting the course for this transition, especially in firms that don’t think of themselves as “digital first”? Gatherings of Chief Digital Officers, Chief Marketing Technologists, and Enterprise IT Architects are working to put the tools of digital creation in the hands of department leaders who know their business best. Colleagues across the enterprise need access to tools to get their work connected to the digital platforms that integrate our firms. So those of us with digital in our titles have to shift from being gate keepers or planners, to advocates that helping others execute their digital agendas with our support. Getting the software layer right is what it takes to scale digital success and for managers to own their digital futures. 2 Responses to "Digital Innovation Puts Us All In the Software Business"